April 19, 1995. 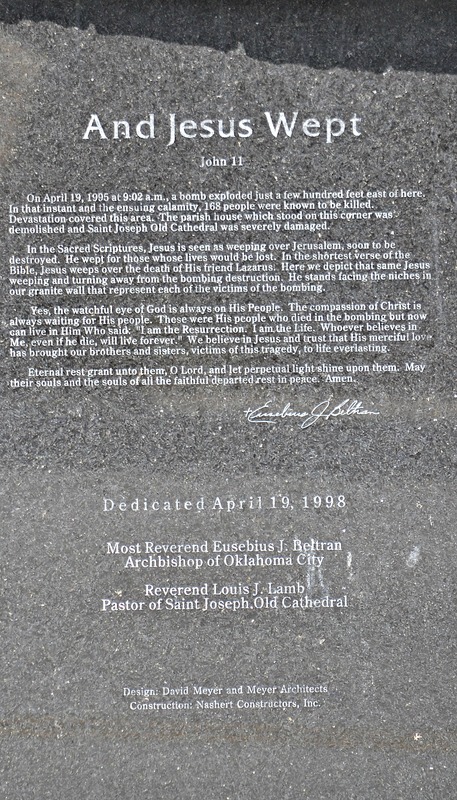 The day that forever changed Oklahoma. We became a ball of fear, caution and grief. But at the same time we turned to each other for comfort. 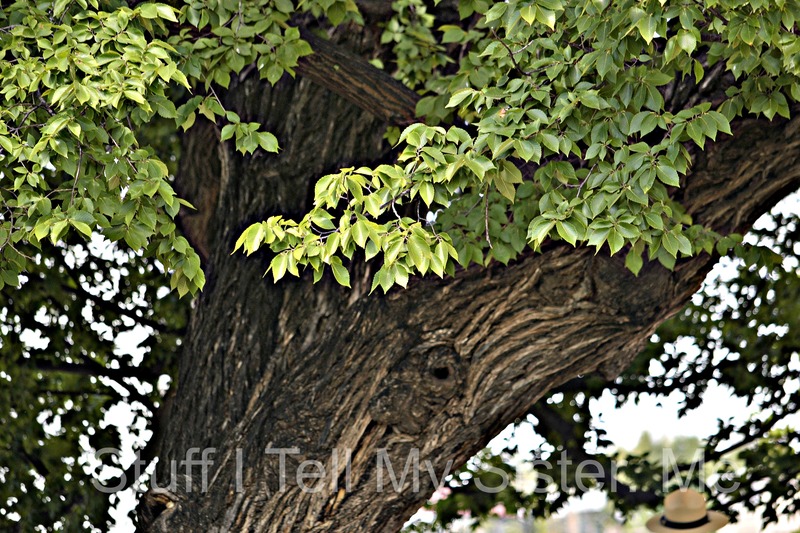 We leaned more on our faith. Hugged our children tighter. Loved our neighbors more. Oklahoma was on display for the world. That same world embraced us and became a smaller place. We became stronger. 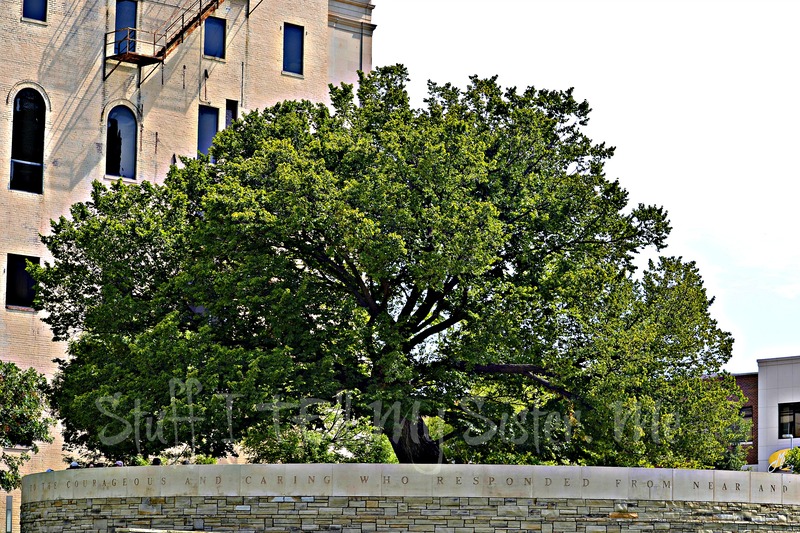 This entry was posted in Family, Forgiveness, Friendships, Oklahoma, Oklahoma City, Reflections, spring and tagged Oklahoma City, Oklahoma City bombing, Oklahoma City National Memorial, photos, reflections, sadness, The Survivor Tree. Bookmark the permalink. It’s terrible what’s going on in the world. Sadly these indelible days are becoming too many. 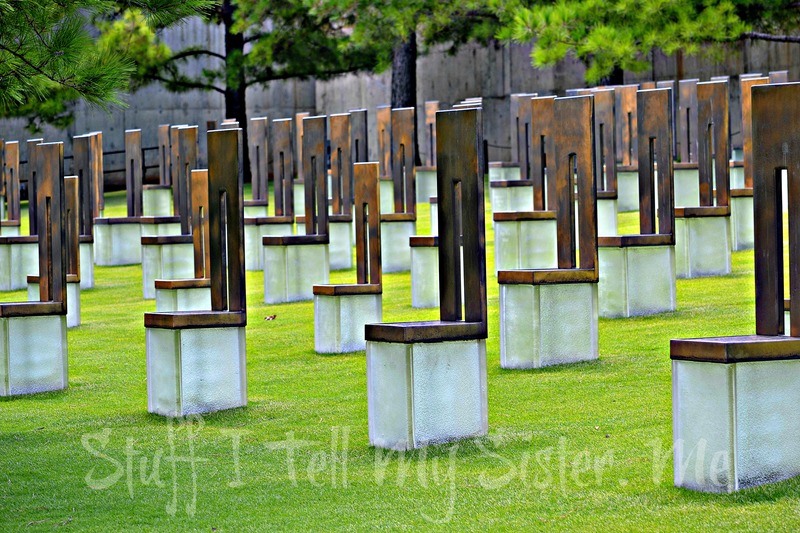 I’ve been there – the chairs are so haunting – but every inch of the memorial is so thoughtfully arranged. It’s a sad and special place. Agree….hallowed ground. A similar feeling to when at The Wall in D.C. We were still living in the OKC area when this happened and were, in fact, in route to downtown OKC for an orchestra performance at the Civic Center. A frightening day. Hubby knew the boys and I were headed there ….he was an hour away the other direction….and phones were jammed because of the tragedy. Seems like it was just yesterday. 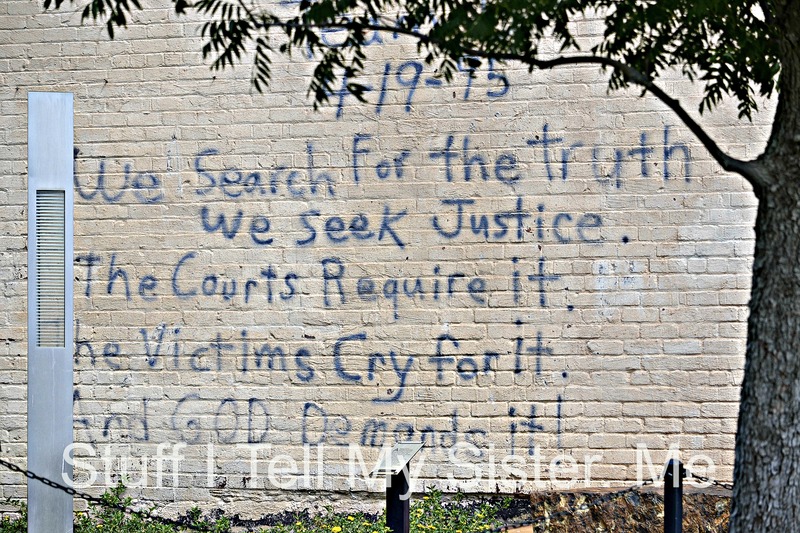 I was living in Oregon – a coworker was from OKC – it was such a struggle for her over those days. I bet it was….you just wanna be “home” when tragedy strikes. It’s that many years ago already – and our world haven’t gone any better or safer … how can we protect ourselves??? Terrible, lived in UK when the bombs in the underground went off. So unreal. No, we should never forget …. and we should also remember all those in all countries that had to pay with their lives for others believes and opinions – happen in so many places and it still will, that is the worst bit of it. Love your post .. forgotten to say the. It is good to be reminded of these horrible acts of disturbed, evil people. 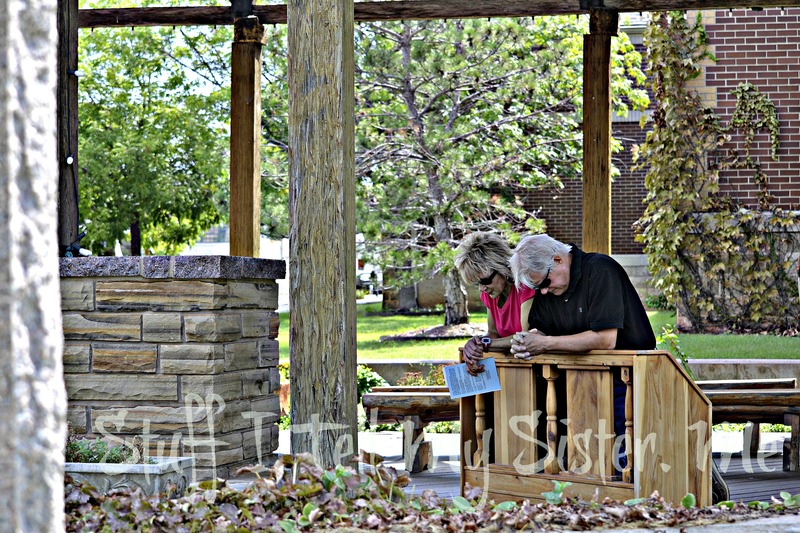 When we aren’t personally affected, we tend to forget the hearts that are still breaking over the loss of loved ones. Now we need to be in prayer for those who are grieving in Boston, and those who came from around the world to participate in this event. Our beautiful country is no longer a safe refuge. God help us! That it is….having walked that turf before the thought of a bomb, and then being there immediately after….it is hard to describe the emotions. It seems that April is a month that inspires violence, and it is such a beautiful month. Your post is very moving. We do remember, and we should be reminded. This is not how we want to live our lives. Terrorism by individuals is our horrific modern American tragedy. Thanks for sharing this. The first time I visited the memorial it felt very tumultuous. The sight was still garish and my heart was full of too many emotions. The second time I visited (about 5 years later) it was very peaceful…Rest easy my friends, I won’t forget. Thank you for this post. As someone said above, the days we need to remember are becoming too many in number. May that not take away from any of the remembrance needed for those days and those lives. I visited the memorial site and will never forget the empty chairs, especially the little one for the children whose lives were cut short by the tragedy. Thank you for the powerful post and reminder.